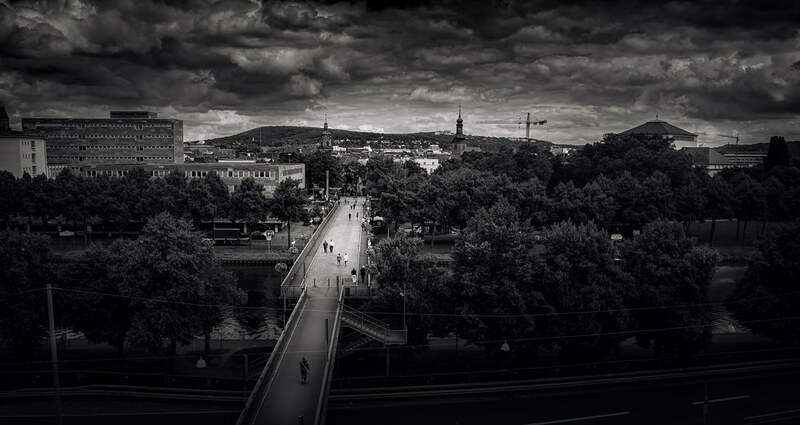 Flickr member Laurent James Antony has posted this great image of a bridge in the new district of Saarbrücken, Germany taken with his Canon 6D. Some may think this high contrast image is over cooked, but I love it. I love how the bridge is highlighted. Yes, there’s probably a lot of post-processing to create the effect, but for art we must make allowances, right? Right. I tend to shy away from things when they’re over cooked but when it works, it works. The “right” amount of cooking is always in the eye of the beholder.